As 2014 draws to a close, Yahoo News writers look back at some of the biggest political stories of the year. Obama receded from view — and then returned to center stage. The sixth year of Barack Obama’s presidency saw his popularity plummet to new lows as he was pummeled by negative advertising during the 2014 midterm races and sought to recover from the damage done by the disastrous rollout of registration for insurance under the Affordable Care Act the previous fall. Meanwhile, the federal bureaucracy continued to demonstrate its capacity for mismanagement, with new scandals being laid at the administration’s feet about wait times at Veterans Administration hospitals and the capacity of the Secret Service to protect the first family from mentally ill White House fence jumpers. Strategic decisions made in the interest of unwinding America’s overseas military involvements — avoiding entanglement in Syria, withdrawing from Iraq and Afghanistan — bumped up against their limits with the rise of the Islamic State in Iraq and Syria and a resurgent Taliban in Afghanistan. As the midterms approached, the coalition Obama put together to win office in 2008 and 2012 faded back into the body politic, failing to turn out at the polls to elect or re-elect Democratic senators in key states. After a withering year, Obama looked set to become the lamest of lame duck presidents, unable to get his agenda through a Republican Congress and empowered only to veto its bills. 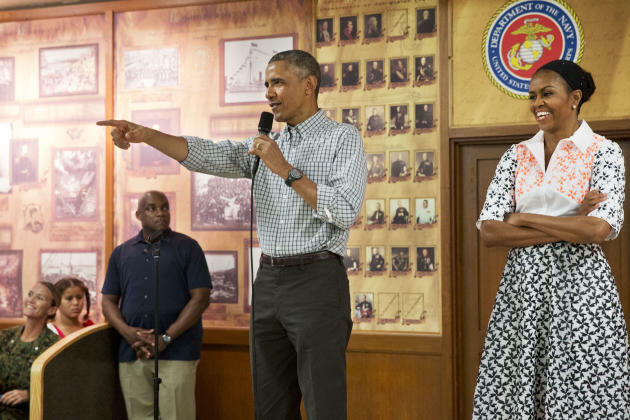 But then Obama did something unexpected: Rather than being chastened, he appeared energized. Loose. 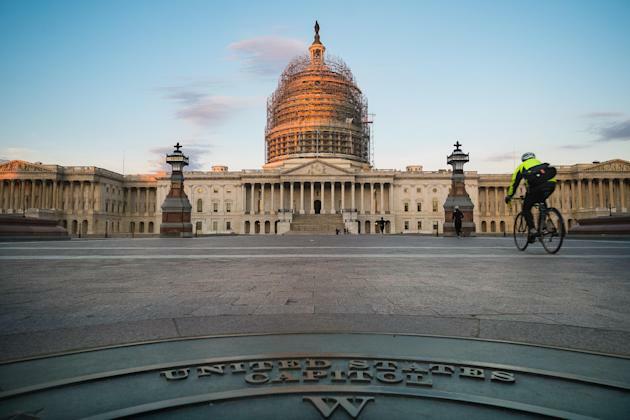 Since the election he has found new vigor as initiatives long in the works have borne fruit and the end of the midterm campaigning made it easier to push forward with potentially controversial but Democratic-base-galvanizing actions. He announced a landmark new climate change agreement with China, the beginning of the end of the half-century-long standoff with Cuba, and fresh action on immigration. 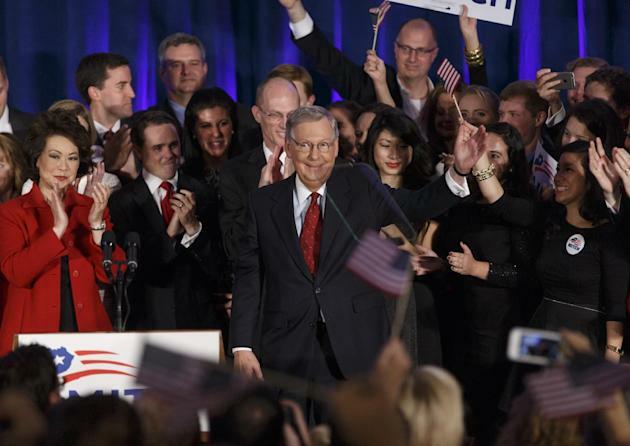 The Republican Party won big, retaking the Senate. Republicans won back the Senate in 2014, giving Mitch McConnell of Kentucky the title he’s always openly courted: majority leader. But the midterm election wasn’t easy from the start for the GOP, even if the outcome ultimately was a clean sweep for the party that left it with a satisfying 54 seats in the upper chamber. Senate Republicans had failed to win the majority for two consecutive elections, in large part because their incumbents were defeated in primaries by conservative challengers who were unelectable in general elections. To be successful this cycle, GOP incumbents had to be more conservative in their votes and more liberal with their spending in primaries — moves that came at the cost of growing government dysfunction in Washington and millions of dollars in spending outside of it. 2014 was the most expensive midterm election ever, with a price tag of more than $3.67 billion, according to the Center for Responsive Politics. Republicans had to spend substantial campaign cash in contested primaries, even before they could direct funds against Democrats. The best example of this was in Mississippi, where Republicans spent in excess of $17 million in a primary and then a runoff between long-time GOP Sen. Thad Cochran and tea party conservative Chris McDaniel. More than $11 million of that total came from outside groups, a trend that affected races across the country. Indeed, the top-10 most expensive Senate races alone could have bought three-and-a-half years of the 2014 New York Yankees roster. Obama acted alone on behalf of undocumented immigrants. Six years after promising the American people he would pass immigration reform in his first year as president, Barack Obama did the next closest thing: He sidestepped Congress and expanded his 2012 executive action to protect up to 5 million more undocumented immigrants from deportation. Many of the immigrants who can now qualify for two-year work permits are parents of U.S. citizens, have lived in the country for at least five years, and have no criminal record. “If you meet the criteria, you can come out of the shadows and get right with the law,” Obama said in November. The move came after sustained pressure from advocacy groups, who were disappointed in the president’s failure to get the GOP-controlled House to pass immigration reform. Republicans pounced on the move, which the president announced right after the midterm elections, calling it an illegal overreach of presidential authority. They pointed out that even the president had publicly doubted he had the power to take such broad action on his own in the past. Twenty-four states filed a lawsuit arguing that the executive action is illegal; it will be decided by a judge in Brownsville, Texas. In the meantime, Republicans have threatened to defund the action but have been at a bit of a loss as to how to do so, as the agency responsible for implementing the action is self-funded through fees. The president has said if Republicans have a problem with his executive action, they should pass an immigration bill. “I encourage them to act,” he said in November. It was the most shocking defeat of the 2014 primary election cycle when then-House Majority Leader Eric Cantor, R-Va., lost his June contest against a virtual unknown. His upset loss, to conservative upstart Dave Brat, was viewed nationally as a rebuke of Cantor’s on-again, off-again support for immigration reform. But in his district, Cantor was seen as a politician who cared more about national politics than local matters, often spending more time in New York for fundraisers or D.C. for party work than with his Richmond-area constituents. Moreover, the Virginia GOP was bitterly divided on how to move forward in the wake of a scandal-plagued end to Republican Gov. Bob McDonnell’s tenure and the defeat of conservative Ken Cuccinelli in the bid to replace him. 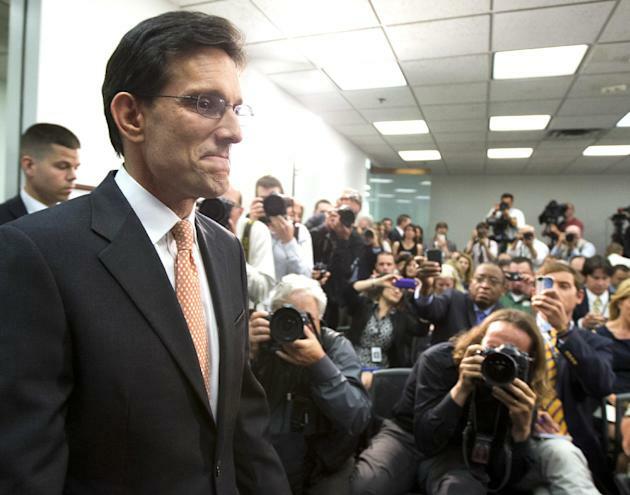 On the day of his primary, Cantor didn’t even go home to Richmond, and his staffers went on with their daily lives post-work, breaking for dinner or the gym in Washington. When it finally became clear he would lose, Cantor went home and the frenzied race to replace him on the GOP leadership team began. Conservatives pushed for candidates who would represent their interests in top-level leaders’ meetings, but their coalition was not big enough to thwart the establishment pick for the job, then-No. 3 House Republican Kevin McCarthy of California. For House Republicans, Cantor’s defeat led to two immediate outcomes: One, they would not bring a Senate-passed bipartisan immigration bill to the floor; and two, Speaker John Boehner of Ohio would stay in his position longer than initially planned, as he had accepted Cantor as his successor and was left without an heir apparent. The GOP expanded its hold on governors’ mansions. Roughly one month before Election Day, I wrote a piece looking at why so many Republican governors appeared to be flailing even as polls showed their party brethren were set to hold the House and win the Senate. Eight incumbent GOP governors were veering close to the edge of losing re-election — far more than usual. One possible explanation was that they had made big, tea-party-style cuts, and their states now were trailing the rest of the country economically. The cuts and their complications were real, but thanks to the breadth of economic concerns and the general anti-Obama mood of the country, the result wasn’t a GOP gubernatorial bloodbath on Election Day. Quite the opposite, in fact: When the smoke cleared on Nov. 4, four of the five most at-risk Republican governors — Sam Brownback in Kansas, Paul LePage in Maine, Rick Scott in Florida, and Scott Walker in Wisconsin — had won re-election. Only one — Tom Corbett in Pennsylvania — had lost. Races that had looked close in October — Rick Snyder in Michigan, Nathan Deal in Georgia — didn’t end up being close at all. Meanwhile, the GOP shocked pundits by picking up Democratic-held governorships in the deep-blue states of Massachusetts, Maryland and Illinois. All told, the number of Democratic governors nationwide dwindled to 17 while the number of GOP governors swelled to 31 — one of the biggest gubernatorial gaps in modern U.S. history. The GOP’s complete and utter gubernatorial dominance will have real consequences going forward. In 2015, Republicans will also control nearly 70 state legislative chambers, with total executive and legislative control in a whopping 24 states (compared with six for the Dems). That means new abortion restrictions, new right-to-work laws, and lots of other new laws TBD. It also means that the Republican bench will be much stronger than the Democratic bench heading into the 2016 presidential contest (and beyond). Republican Governors Association Chairman Chris Christie now has another notch on his “I Know How to Win in a Blue State” belt; Scott Walker and Ohio Gov. John Kasich can say the same about their purple states. And with even fewer executives racking up tangible policy achievements around the country, the Democrats are looking at a post-Hillary, post-Obama landscape that is basically barren, with almost no new prospects in the pipeline. In January, after Colorado became the first state to legalize recreational pot use, the New Yorker published an interview with President Barack Obama in which he said he views weed as a “bad habit” and “a vice” but no more dangerous than alcohol. The remarks by the commander in chief seemed to galvanize marijuana activists, who viewed the admission as a victory. The pro-pot lobby went on to claim a series of strategic victories in 2014, including the historic opening of legal pot shops in Colorado and Washington, and wins on several ballot initiatives (in Oregon, Alaska and Washington, D.C.) during the 2014 midterm elections. It wasn’t a clean sweep, though. Florida voters failed to pass a measure that would’ve legalized medical marijuana. The initiative received 58 percent of the vote, narrowly missing the 60 percent required to pass. The same piece of legislation included an amendment that effectively ended the longstanding federal war on medical marijuana , blocking the Justice Department from interfering with state medical marijuana laws. Meanwhile, pot advocates are hoping to ride the momentum of the marijuana movement as they look ahead to 2016, when marijuana activists plan to put the legalization of recreational marijuana on the ballot in California. Police militarization and criminal justice reform emerged as galvanizing issues. A growing bipartisan movement to reform the country’s criminal justice system finally reached a tipping point in 2014 as thousands of protesters — their hands raised in a gesture of surrender — flooded the streets of American cities and demanded more accountability from law enforcement. Over the summer, the police shooting of an unarmed black teen in Ferguson, Mo., sparked weeks of occasionally violent protests. The heavily militarized police response to the demonstrations, which included armored vehicles and machine guns, drew a fresh round of scrutiny, with politicians from President Barack Obama to Sen. Rand Paul questioning whether police were being trained and equipped in a way better suited to a war zone than a middle-American town. The Ferguson debate launched a series of preliminary reforms, including a $75 million federal investment in body cameras for police , and fueled the larger debate over whether America imprisons too many of its citizens for too long at too high a cost. In New York City, mostly peaceful protests against police brutality ended in tragedy in December when a man, angry at police violence, murdered two policemen while they sat in their patrol car in Brooklyn. Police unions blamed Mayor Bill de Blasio, saying his support for the protests contributed to a false idea that police officers are bad people who abuse their power. The mayor asked for a halt to the criminal justice protests until after both slain officers were buried. Gay marriage bans toppled left and right. Thanks to a path-breaking Supreme Court ruling and a seismic shift in popular opinion, 2014 became the first year ever when more states than not allowed gay and lesbian couples to marry. When the Supreme Court struck down the Defense of Marriage Act in 2013, Justice Ruth Bader Ginsburg argued in her opinion that it was not the government’s role to discriminate between gay and straight married couples to deny the gay ones federal benefits. Though the court stopped short of declaring gay marriage bans illegal, Ginsburg’s opinion quashed the legal reasoning behind treating some couples differently than others simply because they’re gay. Judges noticed. In just one year, judges overturned gay marriage bans in 18 states, with seven more states’ bans temporarily overturned but awaiting appeals. Gay marriage is now legal in 35 states, with only 15 explicitly banning the practice. And more than 64 percent of the U.S. population lives in a state where gay marriage is legal, according to the Freedom to Marry advocacy group. Politically, gay marriage has lost some of its red-hot wedge issue power and has faded from some prominent Republicans’ platforms ahead of the 2016 election. America launched a new war, against the Islamic State. Throughout the first six months of the year, the Islamic State terrorists — known for crucifixions, stonings and beheadings — marched through huge swaths of Iraqi territory, overrunning Iraqi military bases and, on June 10, seizing control of Mosul, Iraq’s second largest city, with 1.8 million residents. Obama was at first reluctant to re-engage in Iraq; ending the U.S. war there had been one of his principal foreign policy achievements. But on Aug. 19, the Islamic State (formerly called the Islamic State of Iraq and Syria, or ISIS, also known as ISIL) released a video showing its beheading of American journalist James Foley — an event that horrified most Americans. Barely two weeks later, on Sept. 2, the group beheaded another American journalist, Steven Sotloff. It had all the disease ingredients guaranteed to strike terror: novelty, lethality, speed, infectiousness. It wasn’t clear at first that an Ebola virus outbreak that began with the diagnosis of a 2-year-old boy in Guinea in December 2013 would be different from others that had rapidly been contained in Africa since the disease was first identified in the 1970s. But as 2014 progressed and the spread of Ebola showed no signs of slowing, hopscotching to Liberia, Sierra Leone and populous Nigeria, infectious disease experts began to worry. And then Ebola came to America, land of risk reduction. A full-blown Ebola panic ensued after Eric Duncan traveled from Liberia to Texas in late September and then fell ill. His family was quarantined. Two of the nurses who cared for him caught the disease, despite precautions. Politicians called for the end of flights from affected nations, then settled for tracking those who were on them. Under pressure, Obama appointed longtime Washington hand Ron Klain as Ebola czar. America’s 2014 Ebola panic turned out to be one of the best things that could have happened for the world, even as it threw a wrench into the American political system and contributed to a broader narrative of a world out of control that benefited Republicans seeking office. New diagnostic tests were fast-tracked. So were new treatments, several of them tested for the first time on the American patients. Millions of federal dollars were targeted to building Ebola treatment centers in affected countries, and to providing protective gear and epidemiological help. Liberia and Guinea were able to begin to contain their epidemics, though the disease is still cutting a deadly swath through Sierra Leone.